cherry pitting machine is used for many fruits cores removing, such as cherry, blackberry, date, and so on. The feature of the cherry, blackberry, date is: fruit core is hard, the hardness between the core and pulp has a big difference. 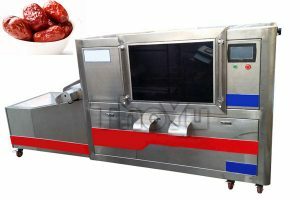 Our cherry pitting machine is professional on fruit processing, it can remove fruit nuclear very well and with little cherry meat wasting. all the machine made of stainless steel which can use for a long time. The operation method of cherry pitting machine is simple and one person can take care for several sets machine. 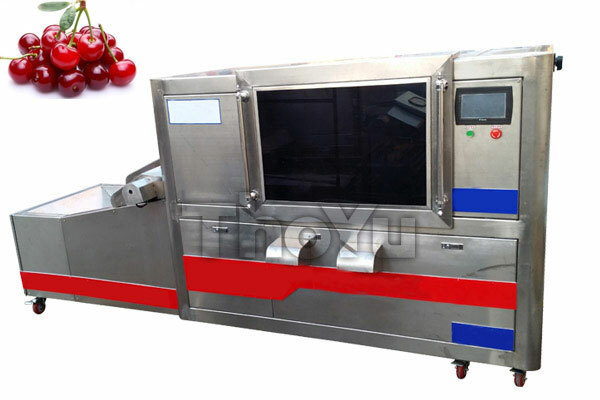 Our cherry pitter machine can be customized according to your fruit size so please do not worry about the fruit size question. Most of the fruit is delicious and well-tested with much juicy, but we couldn’t keep the fruit fresh for a long time. So we need to solve this problem and make the fruit workability again. 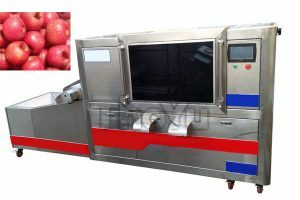 The fruit pitting machine with automatic control appears which assists for processing the fruit like, cherry, plum, olive, jujube into the canned food or preserved fruit. 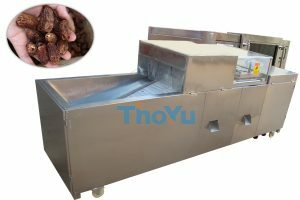 This fruit pitter machine can process the fruit which with the diameter scope from 10mm to 34mm, so you needn’t make classifying for these jujubes. Separate the fruit flesh and the stone effectively. High effective and easy operation. The gap between the rollers can be regulated to get the best process efficient. The rollers and the scraper can be replaced considering the status of the machine, and it is easy to do the replacement.